trans fat | To Health With That! FDA Proposes Trans Fat Ban? FINALLY! Trans fats can occur naturally in small amounts in nature, but in processed foods they’re actually manufactured. Liquid unsaturated fats are “catalytically hydrogenated” which means that they are forcibly bombarded by hydrogen, which turns them into a more saturated fat. This makes the fats shelf stable and far easier to use in the food industry. These modified fats form in a different way than they typically would in nature (that’s the trans part) meaning that the hydrogens attach to opposite sides of the carbon chain in the fatty acid, which gives the trans fat a rigid, linear structure. Fats in nature are usually in the cis configuration which is nice and loose and floppy and forms healthy, mobile cell membranes. Trans-fats not so much. Contributes strongly to depression and may be implicated in irritability and aggression. The jury is still out and studies are mixed on the effect of trans fats on both diabetes and cancer, but many studies have shown links. 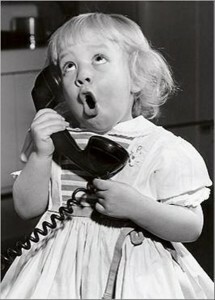 Are you with me yet on the trans fat ban? Even if you’re not, there are several countries in the world that have already banned trans fats or limited it to less than 1 g total per day even if citizens eat mostly processed foods. This includes countries like Denmark, Sweden, Canada, Iceland, Switzerland and the UK. Other countries, like Australia, have not yet banned it completely but it has been all but eliminated from the food source anyway. The US took steps in 2006 to add trans fats to nutrition labels, which did cause trans fat use to drop (good thing), but it’s still prevalent in the American food supply and people who are eating fast foods and processed foods are most at risk for negative effects from trans fats. Some places in the US have either banned trans fats or limited their use including New York City, San Francisco, Philadelphia and Boston. 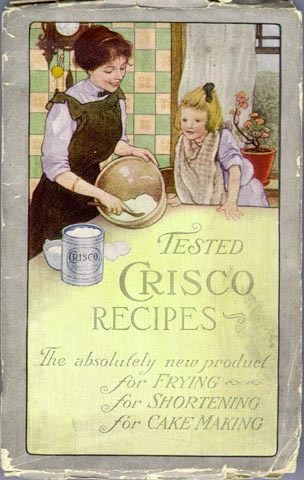 This is the original cover from the Crisco cookbook, published in 1912. Just FYI crisco is trans fats so they’re probably not in support of a trans fat ban, although they may have modified their product since then. 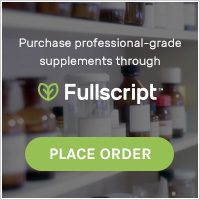 Currently the FDA is in a 60 day public comment period to see how consumers and the industry would feel if they revoked the GRAS certification in a trans fat ban. GRAS stands for “Generally Regarded as Safe” and quite obviously if trans fats are causing heart disease, obesity and Alzheimer’s they aren’t safe at all. Here’s the FDA statement about it, and here’s the link where you can submit your own comments (docket number FDA 2013 -N 1317) PLEASE TAKE THE TIME TO COMMENT AND ASK THE FDA TO APPROVE THE TRANS FAT BAN. Just follow the submit your own comments link and click the Comment Now button in the upper right hand corner. Your Comment Tracking Number: 1jx-891g-7hs7 Your comment will be viewable on Regulations.gov after the agency has reviewed it, which may be an indefinite amount of time. Use your tracking number to find out the status of your comment. I added the bold in just for emphasis. Really FDA.gov? Really it may be an indefinite amount of time? The paranoid part of me wonders if the comments that take take an “indefinite” amount of time are the ones that they would rather the public not see, but I truly hope that the government is better than it often seems to be. So I will track the comment and keep you posted. Please take the 30 seconds out of your day to add your comment to the proposed trans fat ban – after all, if you tell the government what you want and they don’t do it then you have every right to complain about the consequences, but if you never speak up then it’s all just a little bit on your shoulders too. Make sure the government knows what you actually want and what’s actually important to you. It matters. This entry was posted in Nutrition, Political Action and tagged FDA, hydrogenated oils, politics of nutrtiion, trans fat, trans fat ban on December 2, 2013 by amyneuzil.